Urologic laparoscopic reconstructive surgery is rapidly expanding at numerous centers around the world. 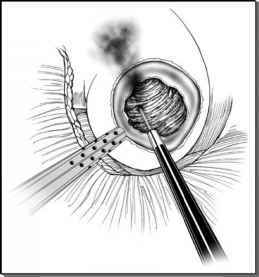 The ability to reconstruct every urologic organ by laparoscopic methods have been reported. The technology to accomplish these dextrous maneuvers is changing rapidly with logarithmic rises in the number of cases. Suturing technology and techniques are the leading methods that are fostering these reconstructions, but the skills and talents of innovators in this field cannot be denied. Mechanical-assist technologies certainly offer the capacity to potentiate or facilitate the complex laparoscopic reconstructions necessary for laparoscopic urologic surgery. In one recent report, Antiphon et al. describe the use of AESOP and another mechanical arm to perform complete solo laparoscopic radical prostatectomy (170). Robotic surgery offers the potential to rapidly integrate these skills to a much broader range of urologists, perhaps even bringing these now sophisticated techniques into the hands of all urologists. In one recent investigation on skill, performance between standard instruments and two surgical robotic systems was compared. It was noted that general task performance utilizing standard laparoscopic instruments is faster but with similar precision with either the da Vinci or the Zeus robots. In performing the more sophisticated reconstructive task of suturing, neither robotic system improved the efficiency (as measured by time to complete the task) as compared to a trained laparoscopic surgeon. However, precision was improved by the addition of the robotic interface. In addition, knot tying, which involves even more intricate intracavitary manipulations noted an improvement in both efficiency and precision with only the da Vinci robotic system. These authors conclude that current robotic systems are not "cost" justifiable when compared to skilled, highly trained endoscopic surgeons (171). It therefore seems obvious that laparoscopic suturing skills, no matter how difficult to master, have merit. Almost everything in the operating environment at present for the urologic laparoscopist can be considered a barrier to the rapid acquisition of the skills necessary to master suturing. Yet the brightly illuminated, magnified view beckons for microsurgical reconstruction that may be better than our open counterparts can achieve without the routine use of loupes (156). Recently the group from Cleveland has used the da Vinci to perform a sural nerve graft during a laparoscopic radical prostatectomy with a mean operative time of 6.5 hours in three patients (172). Unique opportunities exist for further continued improvement in reconstructive technologies. Several intriguing technologies will be reviewed for their potential application in the future. Starting with suture technology, it now appears possible that an absorbable suture can be manufactured that does not require knots at all. Medical textiles research has become increasingly aware of the limitations imposed by minimally invasive surgery. In 1967, McKenzie published a little-known technique of a multiple-barbed nylon suture to repair tendons with greater strength and less inflammatory reaction (173). Ruff from Duke University began work in 1992 of an absorbable barbed suture for cosmetic repairs (174). A barbed suture, in theory removes tension from the apposing suture line decreasing the foreign-body reaction. Further evolution of this suture is reported by Dattilo et al. with a barbed bi-directional absorbable monofilament suture (175). In this investigation, the authors used a unique suture of monofilament polydioxanone containing 78 barbs in a spiral pattern around the circumference of the suture. The bi-directional barbed nature of this suture does not require knots for adequate tissue strength (Fig. 12). The barbed configuration anchors the suture into the tissue and provides adequate apposition while the wound heals with minimal tension and pressure. Preliminary work suggests that the knotless suture material may result in less scar tissue formation. In this era of rapid technologic advances and sophisticated computer-enhanced robotics that a simpler solution would be to develop a dextrous suturing instrument. Indeed, this has already been accomplished and such a prototype is being investigated by Olympus Medicalg (Fig. 13). With such a mechanical instrument, the dexterity lost by the fixed borders of the abdominal wall would be bypassed. The degrees of freedom lost by simple laparoscopic instruments would be restored by a "wrist-like" action. There would be no need for million dollar computer-enhanced master/slave robotic units when a $1000 or $1500 instrument could accomplish the exact same thing. Do not think that the future of complex surgery is not in the robotic realm. Just because the elimination of the current generation master/slave, computer-enhanced robotic systems could in theory be eliminated by a simpler mechanical system does not equate with the potential for a machine to outperform a human being. Rest assured in the fervent belief that the future robotic surgical systems will eclipse anything that we have seen thus far. The one thing that you can count on when it comes to the technologies of tomorrow is that change will occur at an ever accelerating pace. Robotic systems are just approaching their long-awaited capabilities secondary to the lack of computer horsepower. This shortcoming is just about to end, as the next generations of supercomputers are about to change the world in which we practice our craft. The best selling science writer, Gleick penned recently that "the last decade of the 20th century came as a surprise" in his book What Just Happened (176). In later sections of this textbook, several authors will more formally discuss advances in technology. But, suturing and reconstructive technologies are linked intimately with such progress and we have spent a great deal of time on these rapid changes. It is altogether fitting and proper that we should conclude with technology for technophiles. Entrepeneur, researcher, and inventor Kurzweil has become a major vocal proponent of the radical way that computer technologies will change the world in which we live and work (177). His web page introduces those who are fascinated by technology to trends that he has sought to follow-up on Moore's Law. Here he graphically demonstrates using data readily available that, by about 2009, there will probably be a computer on this planet smarter than a human being (178). What might we accomplish with such computing power. No longer would we be expecting the robot surgeon, controlled by this intellect to respond in a master/slave fashion but complete the task of restoring normalcy of its own accord. FIGURE 12 ■ Quill Medical Inc.'s bi-directional barbed suture material. Source: Quill Medical Inc., Research Triangle Park, NC. FIGURE 13 ■ Innovative hand-held multi-degree-of-freedom suturing device prototype from Olympus.